Pench National Park is one of the renowned national parks of India. In fact, it’s been mentioned in the famous story, ‘The Jungle Book’ by Rudyard Kipling which was all over the world appreciated. It is one of the famous wildlife reserves and tourist attraction in India. After being mentioned in the story, many wildlife aficionados visited the park every year just to catch the glimpse of their famous characters (the Indian wolf, the Female wolf, Sloth bear, Royal Bengal Tiger). To avoid end moment hassles, it is advised to do booking of Pench National Park safari. Also known as Pench Tiger Reserve, the wildlife destination embraces eye-catching flora and fauna like Mahua, Dhaora, Amaltas, and many more. To enhance the beauty of the park, there are grasslands, saplings and plants too. A great variety of birds like Crow Pheasant, Pintail, Wagtail, Red-Vented Bulbul are seen here chirping around the bushes. Interestingly, the ‘Wolf Sanctuary Zone’ is the only place where night safaris take place. Daytime safaris also take place but nothing can equate to the ones after dusk, as the weather becomes cool and pleasant making your ride memorable. If luck prevails, then you might even spot tigers at night during your Pench Safari. As there is heavy rainfall in Madhya Pradesh, Pench Tiger Reserve is filled with eye-catching Sal trees throughout the year. Utmost care is taken of these trees as they provide good quality fodder and its fruit has high nutritional value. Apart from animals and Sal trees, the park is filled with beautiful flowers named Butea Frondsa and Amaltas. Famous for the protection of the Royal Bengal Tiger, Pench National Park can prove to be the best choice to witness tigers in their natural home ground. If your main reason is to visit the park to watch tigers, then the right season to visit is from November to May month when tiger sights are maximal. The Pench Safari is said to be one of the best safaris of the country. Jeep safari is also a good option to have a different kind of experience. To double up the enjoyment of your stay and to make it worth remembering for a lifetime, activities like bonfires, bird watching, cycling, boating and many more are also carried out. 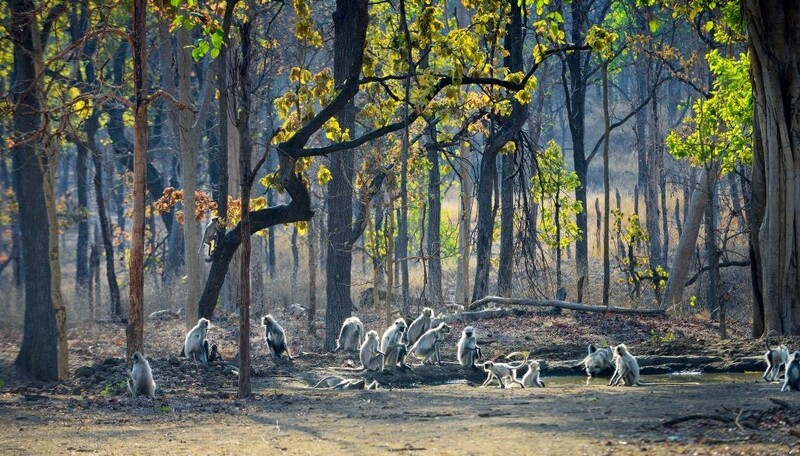 The finest zone in Pench National Park is the Turia zone. This zone is located 1.5kms away from Machaan resort. This zone is open only from October to June. As an advance reservation is required to enter the Pench premises, online safari booking has to be done prior. Lastly, the stay in the Pench resorts is also worth experiencing. There are resorts with amazing cottages made like tree house in Pench. Several activities and amenities are carried out to pamper you by these resorts. Then, there are eco-friendly resorts too for nature lovers with a touch of urban lifestyle. Some resorts even provide camp facilities to the travelers for a different experience. The infrastructures of lodges are created by giving the effect of nature, for a different living environment.